Guiding principles of research by design today are anchored in experimental arrangements, self-made projects and strategies of collective appropriation which have been deepened throughout the 20th century. To improve urban built and social environments, community-oriented processes of transformation have been developed in the form of building co-operatives or owner communities. With a specific focus on the laboratory-like situation in Berlin after the fall of the wall, anti-consumerist concepts and housing experiments are presented to uncover the paradigmatic shift from the 'great' ideologies of the 20th century towards locally-oriented ‚germ cells' of architectural thinking today. "We have no reason to call each other 'fully human' before we have not learned to fully embrace the boundaries between the surely known and the adventure of the not-knowing, before we have not found the careful, yet relaxed, the active and serving mentality that a good game requires from us while also accepting the failure". Quoted from: Scheuerl. Theorien des Spiels. P. 208: "Wir haben keinen Anlaß, uns ‚ganz Mensch' zu nennen, bevor wir nicht die Grenze zu halten gelernt haben zwischen dem sicher Gekonnten und dem Wagnis des Nicht-Könnens, bevor wir nicht die zugleich behutsame und gelassene, zugleich agierende und dienende Einstellung gefunden haben, die gutes Spielen von uns bei Strafe des Mißglückens verlangt." After the experiences of the First World War and the revolution in Germany in 1918, members from the Arbeitsrat für Kunst (Working Council for the Arts) and the Novembergruppe (November Group) around the newspaper Der Sturm - Wochenzeitschrift für Kultur und die Künste (The Storm - Weekly Newspaper for Arts and Culture) defined new goals for projects within the arts that were to be solved collectively in the context of the Ausstellung für unbekannte Architekten (Exhibition for Unknown Architects, Berlin, 1919). In the following letter exchange of the network Gläserne Kette (Glass Chain) – which was founded by architects, painters and poets such as Wenzel August Hablik, Hermann Finsterlin, Walter Gropius, Hans Scharoun or Max and Bruno Taut shortly after the exhibition – acknowledged and conjured visionary aspirations for a communal and pacifist society have been sketched. Between 1919 and 1920, this renewal movement went hand in hand with research on new concepts for architecture, including the design of unknown formal languages and programmes. For examples, drawings illustrate new typologies for purposes of the community and crystalline-shaped buildings symbolize communication with the stars; organic-biomorphic, flowing designs or translucent concepts arise in this visionary aesthetic exchange. Technological and playful phantasies like the 'turnable house' or socialist collective spaces of a 'city crown' spatialize utopias that would transcend existing architectural paradigms, societal norm systems and religions that had been prevalent during the 20th century. In November 1919, Bruno Taut initiated this architectural experiment and invited 14 participants – to contrast prior experiences with the larger organization of the Arbeitsrat – to radically renew the arts and society. By unfolding the imaginary architecture, Taut proposed this period of creative deliberation for the participants in order to seek new paths of designing. His very short instruction for the productive dialogue reads as follows: Everybody should draw and describe his ideas and furthermore, was asked to send a copy (in 'Aktenformat') to every participant of the group within a short period of time. Finally, the sent documents would be signed with a pseudonym on the top of the page. Whyte et al. : Gläserne Kette. Eine expressionistische Korrespondenz über die Architektur der Zukunft. Pp. 25-28. This famous experimental aesthetic group dialogue generated not only a large variety of programmatic architectural sketches, but also experimented with a design strategy. A previously agreed upon instruction was used as framework for a creative group process – to organize cooperation amongst strong individuals. Taut guaranteed individual freedom of creation, but simultaneously offered a self-organized feedback culture including learning processes and documentation. See J.J. Rousseau: Du Contrat Social ou Principes du Droit Politique. As part of the search for new approaches to envisage a social and free society, since 1916, creative and experimental concepts for society and holistic models, encompassing all areas of life, are explored with regards to their opportunities for artistic and spatial representations and free spaces. Via artistic research, the Dadaists, who were strongly against the war, engaged in interdisciplinary and aesthetic exchanges from their Zurich-based exile. Established knowledge was radically called into question; existing values, paternalistic ideals and tradition-oriented norms were overthrown in the context of artistic activities. Interventionist experiments served to discover new forms of perception, unknown strategies of artistic and collective creation, and to find their expressions in confrontations with language, in performative spaces on stage, in group activities, and in publications of magazines, first in Zurich, then also visible in other cities such as Berlin, Paris, Cologne or Hanover [See: >>>Erste Internationale Dada-Messe, Berlin 1920, https://de.wikipedia.org/wiki/Erste_Internationale_Dada-Messe]. After having shown a first collage, a Merz-Bild in the gallery Sturm in 1919, the Hanover-based artist Kurt Schwitters created the first of a series of expressionist, cubist sculptures such as the Merzbau in 1923, and established the artistic collage strategy Merz also for his spatial works. This approach had some important similarities – considering less the morphological language, but rather the design process – to the equally influential organic designs developed in pilot projects of the Endless Theatre (1926) andthe Endless House (since 1950) by architect-designer Friedrich Kiesler. Kiesler created visionary concepts of radical flowing spaces, a time-space-architecture for the 20th century. Both projects foremost represent decade-long individual experimental passions about the close appropriation of space through design of space which has been developed by the their makers Kiesler and Schwitters with the help of large or multiple mock-ups up to the size of 1:1. 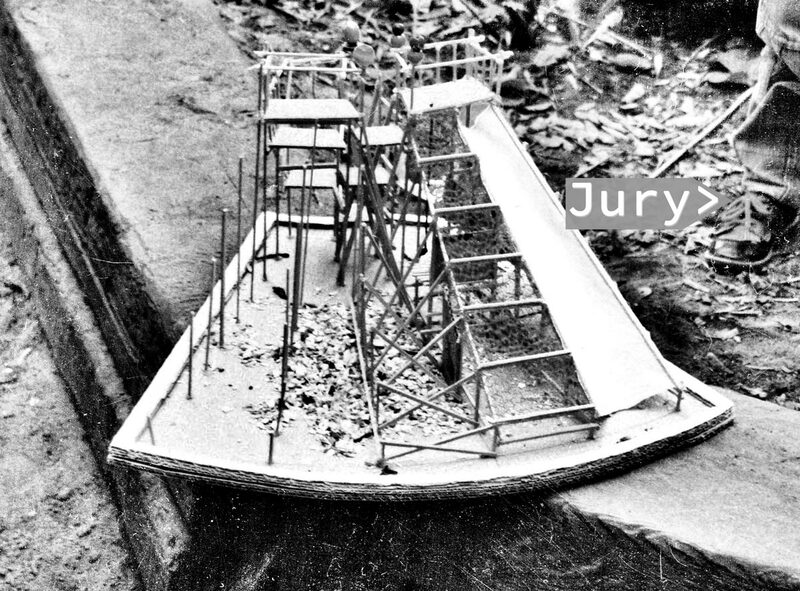 Their atmospherically and physically dense design approaches and investigative processes served to develop multi-functional, multi-layered and floating spaces and later became important in the context of border-crossing strategies for the design of urban interventions and performances. The projects represent seminal styles, functional icons and aesthetic role models for numerous following projects independent of their respective political contexts of the time. In the 1920s, painter Max Ernst is one of the first to engage his methodological repertoire of half-automatic strategies (cf. 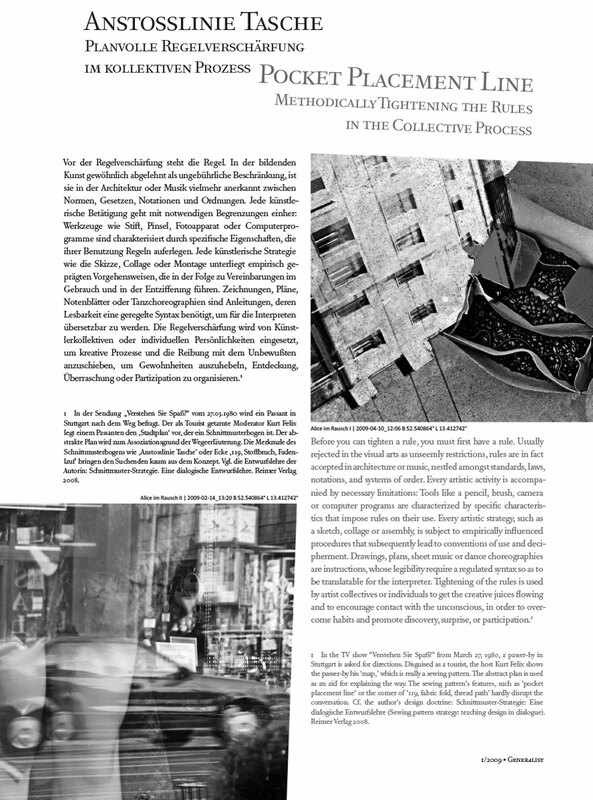 Frottage, Grattage, Oszillage, Collage), as well as Hans Arp's deconstructive practice and associative reading of traces as research strategies to discover and initiate artistic processes (cf. Dessin aux Doigts, Papiers Déchirés-froissés). Both artists develop their creative practices as intentional dialogues with the unconscious, which notably stands in contrast to the practice of traditional 'invention'. The de-automatizing strategies and the play with randomness have been adopted decades later in the collectivized modes of working of deconstructivists in architecture projects (e.g.) the Austrian Coop Himmelblau's seismographic paintings or drawings with the eyes closed. 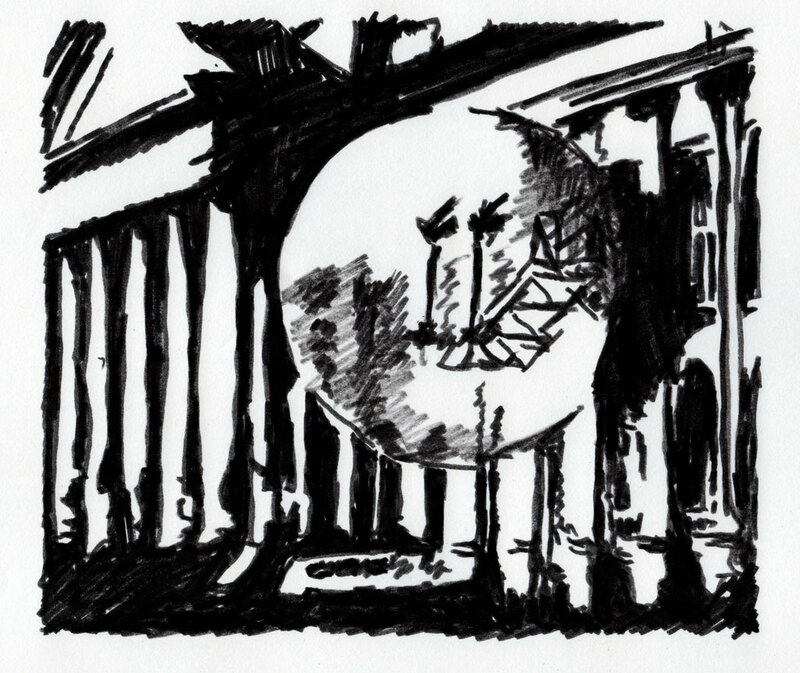 These experimental tactics are informed by the unconscious of the authors in group processes and serve as intuitive practices of form-finding which – after intense investigation periods of partially contradictory facts in architectural contexts – enable the coming back to flowing creative periods, or the synthesis of diverse conditions. The first decades of the 20th century prepared the ground for a slow shift in paradigm in design: Next to the 'genius' idea or artefacts which were supposedly created by a mastermind arising from her- or himself, newly found groups of architects and artists are created to design in cooperative processes. Their practices are initiated via creative processes guided by aesthetic sets of rules which constitute points of departure for potential collective open-ended processes of solution-finding. Due to the voluntary and articulated restriction of opportunities (which remain endlessly open and contingent variations of options within creative processes, culminating in contingent decisions), these rules constitute the precondition for group experiments dealing with unknown goals. Allowing for a rather dialogic and aesthetic exploration of options, the designs of these processes in art and architecture serve to question routines, conventions and hierarchies, as well as to enlarge perceptual horizons, to open aesthetic processes of communication for collectives and to discover unknown spaces of opportunities. Since 1960, primarily French and Italian authors experiment with levels of language and literature as Oulipists, strictly following the condition of self-made creative contraintes, i.e. constraints like the novel without ‚e' by Georges Perec,  which should augment awareness of language use and widen consciousness. Through the implementation of unexpected difficulties leading to unknown results, these methods should enhance playful and associative acts of invention. Creative limitations serve as inspiring frameworks to develop ideas and artefacts for these author collectives and individuals – in order to set free energies which contribute positively to narrations and the creative process. Such empirical and experimental research of language has today found its way into school pedagogy. Perec: La Disparition. OuLiPo: L' Ouvroir de Littérature Potentielle. Members were, amongst others, Italo Calvino and George Perec. The collective is active until today and can be found online. Cf. Sabine Mainberger: "Von der Liste zum Text – vom Text zur Liste. Zu Werk und Genese in moderner Literatur. Mit einem Blick in Perecs Cahier des charges zu La Vie mode d'emploi. In: Mattenklott u. Weltzien (Ed. ): Entwerfen und Entwurf, pp. 265-283. Since 1971, in the German Democratic Republic (GDR), the artist group Lücke around A. R. Penck, Peter Hermann and others. (The Gap, referencing the expressionist artist group Brücke) resists the strongly state-regulated guidelines for artistic production and deconstructs the surveillance state through lack of submission, individual acts of rejection and provocations in semi-public spaces. They experimented with a collective painting game, the Team-Psychology-Technology Programme (TPT) – the artist group together worked on the same screen – which created free spaces for their own thoughts. At the same time, their dialogical, self-reflexive artistic strategy was a tool against the potential instrumentalization of artists and the arts for the leading state ideology of socialism. Paul Kaiser: Subversive Rekursphänome, In: Beatrice von Bismarck, Alexander Koch (Ed. ): Beyond education. Kunst, Ausbildung, Arbeit und Ökonomie. Frankfurt a.M. 2005, pp. 33-47. Again, one decade later, the New York-based Guerilla Girls operate as feminist movement implementing face masks in all possible media outlets and spaces as strategies to anonymize performative projects since 1985, aiming to ironize male strategies of marketization and conventions of artistic production which focus on the individual of the 'genius' or 'mastermind.' The multiplication of their performances and ideas via network split-offs or the new foundation of artistic groups sharing their concepts are intentional acts – explicitly offered to be adopted by others to initiate performance groups all over the world. 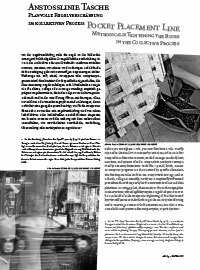 In 1995, the Danish film collective around Lars von Trier, Thomas Vinterberg, Kristian Levring and Søren Kragh-Jacobsen calls for a planned re-positioning of cinematographic strategies with the signing of their manifesto DOGMA 95, urging for a mimesis of their newly initiated beginning: Ten rules, the Vow of Chastity, focuses on the individual and seeks to enable the immediate, 'authentic' collaboration of all those engaged in film production through the reduction of technical tools and the abdication of tricks and interventions. The withdrawal from individual preferences and technical complexity, as well as the rupture with self-made rules enlarges the room to manoeuver for all involved parties, especially the actors, in the development of collectively improvised cinematographic stories (the manifesto refers to this as refraining from personal taste). The first two movies following these dogmatic principles are Das Fest and Idioten. Hallberg, Wewerka (Ed. ): DOGMA 95 Zwischen Kontrolle und Chaos. To draw this section to a close, since the late 1950s, a critical practice of culture, art, and architecture grows in Europe in the form of more and more visible group foundations developing projects as part of political concepts. The small selection of artistic groups above should have demonstrated a variety of artistic research strategies which have been developed for artistic production in teams or networks; the described approaches have in common the goal first to design processes or frameworks and then to open these articulated sets of creative rules or aesthetic strategies to be appropriated and transformed through projects by others. The artists share and disseminate concepts and ideas of non- or low-hierarchy artistic production and political aims, replacing the idea of the 'genius' and his or her individualist design process. The actors of these movements seek to overcome dominant continuities of biographies, structures, economic philosophies or the like after the world wars due to the ongoing influence of personalities with fascist backgrounds in important positions of young democracies or the latent military involvement of European countries. In the context of group projects, these critical agents and alternative initiatives want to break with existing, non-democratic conventions, top-down hierarchies and disciplinary boundaries. Traditions are not abstractly negated, but critically appropriated and transformed: "This way, the present constitutes the past", postulates sociologist Theodor W. Adorno, one of the intellectual founding fathers of the German 1968 student movement, in his posthumously published Aesthetic Theory. Quoted from: Adorno. Ästhetische Theorie. P. 68: "(...) so konstituiert das Gegenwärtige das Vergangene". Apart from traditional artistic production, design work and architectural production, artists, authors, composers, filmmakers or architects discovered fields of experimentation far from ingenious invention via designing aesthetic sets of rules and new approaches in the form of trans-disciplinary strategies, gaining productive energies through the confrontation with limitations. Instead of concealing contexts of artistic production, the creative process itself was designed through frameworks which needed to be discussed, reflected or exposed in advance or, and eventually shared as new insights. The conditions of production shaped and characterized the design result. With help of visionary manifestos, texts, drawings, models, experimental drafts and activities, these interdisciplinary groups expressed themselves on different levels of manifestation without the restrictions of traditional norms of production in magazines, exhibitions or in public open spaces, as well as via installations, performances, spatial commentaries, self-experiments, film documentaries and self-published writings. In the 1960s, the trans-disciplinary experiment became the paradigm of artistic practice and served engaged practitioners to intervene in fields of social tension and to push controversial topics of society forward in order to be recognized and addressed via action. The pioneers contributed both reflection and action, and offered potential for fruiting and dispersing knowledge and sharing strategic approaches to social design. They advanced their self-reflection, but also the methodological renewal for the involved traditional disciplines, and ultimately contributed to the discourse on artistic creation and research. Considering this period beginning in the late 1950s for built and urban environments in architecture, experimental design as a collective and trans-disciplinary practice has been discovered for artists and architects interested in questions of space to influence, criticize or design contemporary life models. In the context of Western European urban politics, essentially forcing mobility and growth after the Second World War, this research-oriented design practice became a tool in the context of transforming societal processes. The transformations initiated by artists and architects became apparent in critically commenting, interdisciplinary and co-operative practices as well as in self-experiments. Artists' and architects' activities can thus be understood as contributions to political and cultural dialogues by the arts. 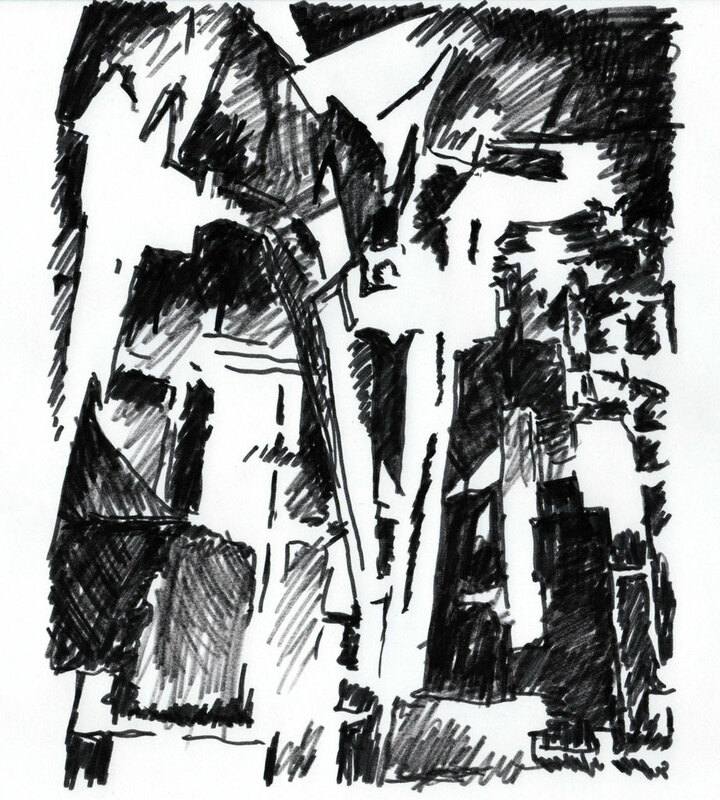 In order to call into question the guiding principles of mobilization, specialization and economic functionalization of the young post-war generation, artists like Constant Nieuwenhuys and Asger Jorn create non-hierarchical urban concepts for the homo ludens in the performative tradition of the Surrealists. They envision a work-free society that enables an open encounter for people, and imagine associative spaces of movement and communication (New Babylon, 1959-74). Also, following the Surrealist tradition in experimental group research trips – automatic strolls for the exploration of the unconscious (see Louis Aragon and his companions) – the members of the International Situationists around Guy Debord undertake extreme experiences which deliberately do not have a defined goal, but are psycho-geographic experiments for the immediate perception of the 'over-functionalized' public realm (The World as Labyrinth, Dérive). The architecture couple Peter and Alison Smithson investigates the concepts of things as found with regards to a critical engagement with mass culture and the throw-away society (Sources, Parallel of Life and Art, 1953). The works of the groups Haus-Rucker-Co (Oase Nr. 7, 1972) and Coop Himmelblau (Architecture must burn, 1980) explore practices which enhance the sensibility for habits and routines in space, and architectural design practices that compress moments of the process to relate or attract attention to current political events. Cf. Irénee Scalbert: "Leben und Kunst in Parallelen". In: Daidalos No. 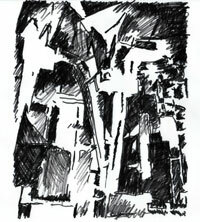 75, Alltag, Berlin 2000, pp. 53-65. These spatial visions are developed as self-experiments following a real-life rationale or translation until the scale of 1:1. The city and its' public space, but also conventionalized architectural design strategies and representations, are being appropriated by these groups outside of existing orders and professional conventions. They are being re-interpreted and transformed in the context of architectural interventions in order to create new horizons of sensual perception, inviting people to spatial explorations. This field of research by design constitutes and provides a fundamental source of experiences to architects as well as non-architects to renew methodological approaches and knowledge about spatial strategies, communicative settings and democratic design strategies in the form of ongoing experiments for an open-minded society. Two individual border crossers of the 20th century should be mentioned in this context as key pioneers who contributed to a holistic and integrative research environment of spatial exploration. Their achievements remain valuable until today, fostering the development of a sustainable architecture, urban space and its production after the Second World War: The transdisciplinary architect, author and designer Bernard Rudofsky and the sociologist Lucius Burckhardt and his artistic colleague and wife Annemarie. After decades of field research, voyage and experimental practice, Bernard Rudofsky curated a MoMA exhibition Architecture without Architects in 1964 and published an accompanying catalogue. 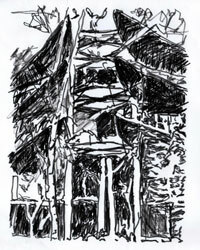 Rudofsky criticizes the primate of design imposed by specialized architects, industries and authorities. He takes into consideration a traditionally handed down, non-representative architecture that goes beyond the designs of 'master' builders with interdisciplinary educational backgrounds. His transnational field research was always dedicated to a diverse, site- and climate-specific, technologically and morphologically rich everyday architecture without architects. The results of his research demonstrate to the Western world the intelligence of low-tech solutions derived from traditional ways of construction, for example, in settlement structures, living spaces, hybrid functional programming and living cultures dealing with extreme conditions. He reveals insights from the field into local specificities and technological finesse for architectural concepts in extremes climates, which are today respected fields of historical building design as well as leading for research approaches on resilient construction. Rudofsky: Architecture without Architects; Rudofsky: Streets for People. Rudofsky's critical examination of urban free spaces, Streets for people (1969), and his design of everyday use objects like sandals or toilets, dismantle the inhospitable contemporary standards and preconceived paradigms inherent in the concept of the car-friendly city. Rudofsky highlights the contrast between the guiding paradigm and the 'traditional' European understanding of urban dwelling and public space with help of numerous examples of manifold and open public spaces or designs for pedestrians. The Spaziergangswissenschaft (Promenadology, Strollogy) was founded by the sociologist Lucius Burckhardt and his artistic colleague and wife Annemarie in the 1980s, to challenge and speak up against the approaches of technical planning and urbanist paradigm focused on increasing mobility, which was far from the complexity of social realities and individuals' needs and perceptions. Burckhardt's approach to artistic-scientific research does not only enhance citizens' perception within an analytic perspective to urban landscapes, but stands for future participatory planning approaches including collective strolls and walking as most important analytical and planning tools for the understanding of the interplay to be found in urban contexts. The prioritization of the onsite experiences as key analytic tool should root the planner and her or his design of interventions or master plans in the complex conditions of public urban spaces and the multi-layered social contexts being part of spatial conditions, and to inform him or her with regards to imagining contemporary conceptions. A decade later and briefly after the German Reunification at the beginning of the 1990s, one of the intellectual successors, Bertram Weisshaar, initiated 'extreme strolls' to engage with post-industrial landscapes in Saxony-Anhalt which have been left over by the de-industrialization of large parts of the coal-mining era. 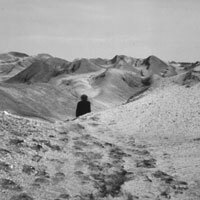 His valuable contribution to the strollogy was an artistic, performative wandering through devastated landscapes offering the people a change in mind towards new horizons (e.g., by creating a series of tableaux vivants within the landscape to support the imagination of the potential transformation of these cultural landscapes in sitù). 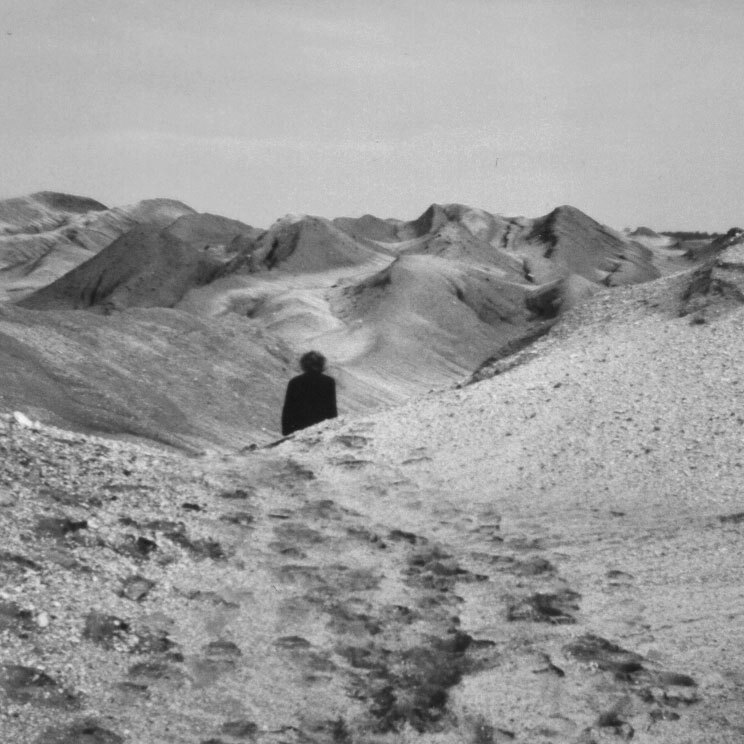 In the 1990s, the German architect Bertram Weisshaar, Atelier Latent, organized first strolls to former surface mining sites for the public, for example the industrial landscapes around Cottbus and Dessau, which had formerly remained inaccessible, to support transformation processes (further reading: B. Weisshaar: Denkwege. Ein (um)weltlicher Pilgerweg quer durch das Land von Aachen bis Zittau. 2016). At the end of the 20th century, urban acupuncture or urban gardening initiatives start to pursue the re-activation of abandoned urban spaces worldwide. In cooperative and experimental work processes, networks of activists with different professional backgrounds seek to create more sensibility for ecological circuits in urban contexts while engaging individually and manually with available means on site to change conditions. At the turn of the century, since 1997, for example, the European open exhibition initiative of temporary gardens encapsulates this agenda in the form of critical, mostly micro-scale interventionist practices and locally organized activities. Decentralized exhibition concepts for specific sites are developed by many engaged people in public or semi-public spaces. These urban concepts offer temporary use approaches for neglected or abandoned sites as 'door openers' to enable first an onsite experience and then to focus the site-specific potentials of diverse European metropolises like Berlin, Le Havre, Tartu and Aachen for future engagements. The methodological approaches of a scientific analytical and artistic, creative field research and integrative transformative practice presented in this part serve to convey a multi-layered and critical understanding of social and spatial concepts and conditions which is rooted in the historical tradition of designing in real-life scales directly on site as already the master builder did for centuries. The pioneers of Artistic Research on Space of the second half of the 20th century operated for an understanding of design processes seeking to grasp and locally demonstrate the social and spatial complexity of situations. Next to analytic tools by design and empirical sociology, the close physical and creative onsite approach to spatial contexts, life worlds and holistic phenomena of perception in space enable architects to investigate potential opportunities of development temporarily until the scale of 1:1. The described strategies of empirical onsite investigation with help of the key means of voyage, wandering, creative documentation and onsite interventions enable an understanding of complex spatial conditions, traditions and life circumstances in multiple environments and imply a critique of planning conditions that are threatening human existence. The legacies of the above critical pioneers seeking for knowledge and experience through context-sensitive onsite field research are today examined and studied by students with an interest in sustainable ways of construction. In the context of self-initiated research activities, these methodological innovations evoke and develop proposals for an improvement of life worlds, and simultaneously contribute to discourses for a consecutive, interdisciplinary academic research with interrelated disciplines such as architecture, art, urban sociology, landscape architecture and related sciences of design or urban planning. [Fig. 04] Jäger: Pocket Placement Line. In: Generalist 1/2009 pp.42-49. About: Vitales Archiv- Everybody can participate! After the turn of the century, two Berlin-based artists-curators – Sandra Kuhne with her project Vital Archive and Anke Becker with blütenweiss ‚Anonymous Drawers' – motivate countless co-players and activist via open calls – Everybody can participate! 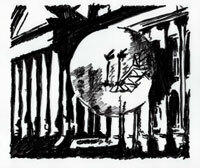 – to interpret the material and built legacies of the GDR, aiming to uproot the art market and its linear logics of marketization in order to discover worlds of things of the 'young' German history and to publish contemporary drawings and sketches of all sorts that are independent of a professional (artistic) background of the creative authors. Both, artists and amateurs, are invited to participate in open dialogues with diverse 'things', themes and people, and to become partners in collective exhibitions and publication projects as well as artistic research scenarios – in the thought tradition of Joseph Beuys: "Jeder Mensch ist ein Künstler" ("Everybody is an artist", Kassel, 1967). Instead of public performances and print dissemination, now, social media and online archives are tools to distribute invitations, knowledge and results of the open activities curators-artists. In 2003, the young collective Klangnetz founds a digital platform for different musicians and composers. Following invented and 'found' sets of rules, similar to the Japanese Renga poem, experimental compositions are developed without hierarchies in changing team constellations, where members who stay in different countries contribute each different instrumental parts. The exchange during the composition and performance process happens mostly via digital media and through creative agreements or regulations which have been negotiated and online communicated in advance. The members of Klangnetz are spread out all over the world, and are active both online and offline, and distill new soundscapes and compositions from these exchanges. The transnational and digital music cooperation leads the individuals to unconventional and intercultural experiences, and to widen their learning processes while developing their creative repertoires through confrontation with diverging positions, traditions and schools. S. the exhibition catalogue: Stille Post! 11 Disziplinen, 22 Wochen, 33 Transformationen. Berlin 2006. As co-founder of the group Stille Post!, I had the opportunity to develop the project with regards to rules of the game, structures and contents in this interdisciplinary context to experiment key elements of the experimental design didactic what I have been investigating for the architectural education (Jäger: Schnittmuster-Strategie. Berlin 2008. http://www.stillepost.jp3.de). 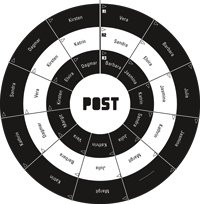 This first period of the aesthetic experiment led to a collective trans-disciplinary design teaching period during three years, to experience a pioneering 'artistic discipline-wall-breaking' didactic model with students and public discourses from all artistic disciplines between 2007 and 2009 at the University of the Arts in Berlin, which by now serves as a source of inspiration for other interdisciplinary groups and platforms. (>>>Schaffensprozesse im Dialog. UdK 2007-09). The understanding and appropriation of multi-faceted artistic principles of design processes, languages and conventions and the design of creative rules for this aesthetic exchange have been a crucial experience of the network next to the effect for all participants – artists and students – to reflect their own habits and adopted conventions and to widen their focused disciplinary horizons through cross-disciplinary strategies, projects and talks. Exhibitions and documentations at the Academy of the Arts, Berlin: Nike Bätzner and Kunstmuseum Liechtenstein (Ed. ): Kunst und Spiel seit DADA. Faites vos jeux! Ostfildern Ruit 2005; and Hubertus von Amelunxen, Dieter Appelt (Ed. ): Notation. Kalkül und Form in den Künsten. Berlin, Karlsruhe 2008. Both projects illustrate a variety of play-motivated interactive or collectively enacted art movements of the 20th century. In Sum, this chapter's exemplary choice on Artistic Research on Space has emphasized the paradigm shift towards onsite artistic investigation, intervention and local design approaches. It has also considered a growing interest in trans-disciplinary design of cooperative processes, cooperation in urban projects and discourses throughout the artistic disciplines on metropolitan space. The discussed experimental strategies of the first half of the 20th century portray the visions for a communally and peacefully-minded society, which was taken up by architects, authors and artists worldwide after the world wars. These ideals are continuously fostered intellectually, methodologically and aesthetically by individual actors. Moreover, their critical, experimental mode of working, which is expressed in artistic research, constitutes the point of departure for societal transformation up until the 21st century. This kind of critical work practice of non-hierarchical exchange unfolds today in a multiplicity of artistic projects and cooperative networks, strongly supported by growing digital opportunities of communication and dissemination, in academic thought spaces and newly founded and funded graduate programmes, in digital and international forums such as conferences and workshops geared towards the generation and exchange of knowledge, and finally, towards common activities. Due to the previously negotiated rules of the artistic games, unexpected spaces for thoughts, experiences and projects have been initiated for the members of these group processes, sensibilizing opportunities of perception, opening up perceptual and imaginative worlds for unconscious thought processes and undiscovered language cultures, ultimately activating capabilities for the finding of solutions of seemingly irreconcilable approaches. Artistic experiments and research of unknown, complex spatial and social conditions interconnect with selected examples and modes of working in trans-disciplinary, knowledge-building, empathy-enhancing and politically-orienting ways. In the search for multiplication of knowledge, cooperative processes activate and direct unconscious and conscious knowledge of the individual towards an open pool of consciousness of the members and their inputs, just as the Surrealists proceeded in their search for the Ursprungsstoff ('Stuff of Origin'). This proceeding constitutes the antithesis to the romantic ideal of the genius which seeks to causally relate the creative product back to the individual. "From the beginning, (…) the aesthetic of the genius focuses on the individual and deflects attention away from society, by rendering the individual absolute." Quoted from: Adorno. Ästhetische Theorie. P. 255: "Von Anbeginn lenkt die (...) Genie-Ästhetik auf den Einzelnen (...) auch von der Gesellschaft ab, indem sie den einzelnen verabsolutiert." This image of the genius disregards that all experiences – as far as they are materialized in the form of an object, or have been expressed in the form of a thought or a text – are already part of societal processes and cultural discourses and hence represent a collective context of experience out of whose humus they have grown. Prior to cooperative processes to design buildings as living spaces and homes, values need to be discussed, goals need to be formulated, contracts and financing frameworks need to be negotiated and rules of the 'real game' need to be discussed. The design task of architects is transformed into a moderated process of dialogic design which enables the constructive inclusion, and also participants' creative opportunity to contribute to design decisions. Ernst: Stadt Raum Strategie. Ernst introduces the term Möglichkeitsraum ('Space of Opportunity'). The concept of Dialogic Design is developed throughout the publication Schnittmuster Strategie, anchoring it in cognitive, psychological, philosophical, game-theoretical and architecture historical perspectives (Jäger: Schnittmuster-Strategie. Eine dialogische Entwurfslehre). Yona Friedman, representative of an open architecture of appropriation and known for his flexible urban structure of the utopian concept "Ville Spatiale" (1958-62), states: "A city is constituted (...) from the everyday requirements of people's lives. In reality, a city is not being planned, a city plans herself. What counts is not official plans, but what people make out of them (...) People change architecture." Quoted from: Hier entsteht. Strategien partizipativer Architektur und räumlicher Aneignung. Fezer, Heyden (Ed. ): P. 141: "Eine Stadt besteht (...) aus den alltäglichen Lebensäußerungen der Menschen. In Wirklichkeit wird eine Stadt nicht geplant, sie plant sich selbst. Was zählt, sind nicht die offiziellen Pläne, sondern das, was die Leute daraus machen. (...) Die Leute verändern Architektur." Further reading: Kunsthochschule Berlin Weißensee (Ed. ): Kritische Masse, von Profis und Amateuren im Design. form + zweck Berlin 2010; Further reading: Johanna Billing, Maria Lind and Lars Nilsson (Ed. ): Taking the Matter into common Hands. London 2007. 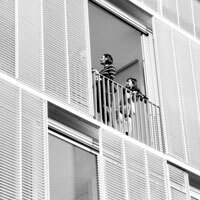 Since the 1960s, self-organized residential projects, living communities, Kitas (i.e., Kindertagesstätten, kindergardens) or parent-initiated schools throughout Europe lead to novel relations between residents, architects and their living environments. Residents now appropriate the urban and architectural fabric for the realization of self-defined spatial contexts with individual ideas about co-habitation, children's growing up and learning. In multi-stakeholder co-operations, collective processes of transformation are being experimented with. Architects and urban planners open up spaces of design-related decisions to future involved individuals or inhabitants and towards participatory practices for other stakeholders without professional knowledge in architecture. Design processes and strategies of realization are being explored in countless projects with shared responsibilities. These realized experiments lead in consequence to a new quality of urban neighbourhoods , whose existence fosters developments of the local civil society – thanks to existing free spaces in quarters of former West, and later East Berlin, Germany. This chapter draws a main attention to the Berlin Laboratory which had an exceptional creative condition within Germany, first after the Second World War and then again after the Re-unification process. In both periods until around 2010, the city offered enormous free spaces in the urban fabric for experimental, alternative approaches to neglected urban spaces, de-industrialized areas and destroyed or non-rehabilitated buildings within the historic fabric of the city, which had been considered not attractive by a majority in former West and East Germany. Since the 1970s, participatory models for cooperative living concepts are consecutively used as objects of research in Berlin, are tested and later integrated as official planning instruments into political programmes first in West Berlin under the term Soziale Stadterneuerung ('Social Urban Renewal'). Hardt-Waltherr Hämer, one of the influential personalities during this phase, realized first projects in Berlin Charlottenburg and Kreuzberg since 1972. Together with colleagues and engaged inhabitants, he initiated a paradigm shift from the "clear-cutting rehabilitation" (i.e., total demolition of existing historic districts) towards the Behutsame Stadterneuerung ('Careful Urban Renewal'). This rehabilitation practice was grounded in 12 basic principles. This manifesto for dialogical urban development claimed the maintenance, stabilization and modernization of the given historical, built urban fabric, but also demanded democratically organized policies of a step-by-step urban renewal in smaller units of dwelling and decision-making to include inhabitants' voices. This political, social and aesthetic framework defined conditions for the continuity of socially-grown neighbourhoods and participation-oriented design practices within built urban contexts. H. W. Hämer is a Berlin-based architect and between 1967 and1987 professor at the today called Universität der Künste (UdK; University of the Arts, Berlin), where he founded the pioneering research institute on urban renewal as design practice for architects 1977; he was main author of the "12 Grundsätze der Stadterneuerung", which have been officially recognized by the district's policies in 1982 and which constituted the programmatic framework for the International Building Exhibition in Berlin. These principles were transferred and adopted after the fall of the wall to former East Berlin districts. The IBA was preceded by year-long protests against the large demolition of built fabric that would have been suitable for residential use. One of the exemplary Berlin-based projects of social urban renewal implementing this careful urban renewal attitude towards neglected, historic residential blocks is the rehabilitation and addition of new buildings designed by the architects Hinrich and Inken Baller at Fraenkelufer between 1979 and 1984. This project is an early example of the metropolitan concept of Biotope City, which also teased out the social housing programme's limits for individual design through intelligent pre-fabrication and resident-friendly floor-plans. It was followed up by the successful resistance of inhabitants against demolition of their neighborhood, and supported by the architects with a moderated process to include diverse involved parties. Moderating, dialogue-oriented planning processes, which seeks to preserve and update or modernize the existing built structures, ultimately and ideally integrates local residents' and stakeholders diverging interests into the design concept. Baller and Baller frame the later dispersion and institutionalization of this bottom-up approach. The German state social housing programme defined binding rules for the residential block within limited financial means. Even though, due to the high spatial qualities of the apartments and a landscape court yard design, there is hardly any fluctuation of residents; the gardening concept in the meantime has been listed as urban garden heritage. After the late 1970s, the agencies B.S.M., S.T.E.R.N. and STATTBAU are contracted by the Berlin Senate, and constitute further organizations that accompany urban stakeholders in processes of urban rehabilitation development from below. The design practice of rehabilitation was established and recognized as professional practice or university education and research of architects in Germany e.g. as "Bauen / Entwerfen im Bestand". Between 1977 and 1987, the Internationale Bauausstellung Berlin (International Building Exhibition, Berlin West) considered the programmatic and pioneering rehabilitation and careful urban repair practice of historic substance. The IBA Neu (new) focused the repair through pioneering infills, new buildings in the given urban fabric, IBA Alt (old) focused the rehabilitation and modernization of the existing buildings and gave opportunity to investigate the tenant-led modernization in multiple realized projects. Since this period until the late 1990s, self-help projects have been a part of the German social housing programmes which enabled attractive and resilient urban transformation on most important layers: The continuity of social and functional mixture within the historical block of Berlin's Gründerzeit, renewing the typology's tradition, the conservation including sensible modernization of built fabric and a low degree of gentrification through upgrading, but the prohibition of real estate sale. Further important characteristic features of the programme are: Volunteer-based participation of all residents of a redevelopment measure (which was supported to be developed from tenants to owners of their apartments), construction-related participation of the residents (usually 15 hours per week in Berlin), partial co-funding from the state, cost-efficient provision of loans for the future owners in accordance to their income situation, a prescribed percentage of socially fixed rental apartments including fixed rents over the course of 25 years. Cf. Abschlusstagung Wohnen Leben Nachbarschaft, which was organized as an outlook on the programme in 2001 in Berlin, taken up by Harald Bodenschatz's strategic evaluation about the IBA 2020, which has been cancelled in the meantime. After the turn of the century, these former experiences of initiatives, social programmes and pioneering strategies not only in Berlin increasingly lead to participation-oriented planning practices in many European cities which are historically engaged in cooperative residential practices such as Hamburg (IBA 2006-2013), Freiburg (Quartier Vauban), Wien (Gemeindebau) or Paris (Tour Bois le Prêtre). The idea of flexible spatial design as it was investigated first by architects such as Hermann Hertzberger in the Netherlands in the 1960s, or a decade later also by Hinrich and Inken Baller in Berlin, goes hand in hand with the development of structuralism, modularized (or partially modularized) concepts, pre-fabrication and open floor plans. These plans are intended to provide a minimum of prescribed conditions regarding the design of living space, allowing for a high level of self-determined, individual and flexible spatial organization for the tenants upon their arrival in and occupation of the space. The concept of a multiply usable order as a flexible system for living spaces with a minimum of pre-defined zones is complemented after 2000 with more and more customized, yet integrative concepts which embrace spatial diversity for urban dwelling units within one residential project as an offer to different generations (e.g. multi-generational homes) or social groups with diverging needs for their homes. The housing units accommodate different living concepts and different 'intensities of collectivity' including optional spaces for communal, semi-private co-housing as results of collective planning processes, which give future residents a defined degree of possible involvement about the future design of the dwelling unit in the planning process, as well as prior to construction. The Wohnregal ('Living Shelf') in Admiralstraße, Berlin-Kreuzberg, is one of the housing projects in Berlin, which stands exemplarily for participatory planning practice. It experiments with a key building structure as framework to allow individual customized appropriation in the conceptualization of design and the realization of a home within a home. This project is one of the numerous self-built, residential social housing projects in Germany which were subsidized since the 1980s as a result of an established culture of living communities in the existing built fabric as part of the International Building Exhibition in Berlin (thanks to political, financial and institutional support). One of the first participatory projects in Europe is the workers settlement Mateotti in Terni, Italy (Architect Giancarlo De Carlo, 1969-1975). The planning process was opened for the dialogue with future residents – female and male workers of a steel plant. Carlo designed a selection of five basic types with 45 varieties for the workers' living spaces out of a moderated design process. An overarching steel-concrete-construction in combination with wood which is inserted into a Gründerzeit-block gives the construction its name. With a high level of individual input from future residents and architects, the individual ideas about the differently designed living spaces and pre-fabricated elements (such as façade modules) are inscribed into the vertically stapled open spaces. In the context of the Living Shelf, twelve maisonette apartments were realized. The involved stakeholders are organized in the legal structure of a so-called Selbstbaugenossenschaft ('Self-building Cooperative') which took over responsibility for many subsequent cooperative projects. 1984-1986, Kjell Nylund, Christoph Puttfarken, Peter Stürzebecher. The individually stapled building community Ökohaus (1984-1990, architect Frei Otto) resides 'im Regal' (i.e.in a Living Shelf construction) with a garden on the floor (i.e., on the level of the stocked apartment). In addition, this concept constitutes a built utopia with all implications of a non-hierarchical community and inner urban biotope that Frei Otto had already taken into consideration 30 years earlier in a sketch for the Schaschlik houses in New York. In Berlin, 18 individual parties for future co-housing and ten architecture studios joined the voting-intense multi-stakeholder dialogue process, discussing the intersection between the given infrastructure of sustenance, the acquisition and design of free spaces, which however ultimately led to the result that engaged actors became pioneers of a movement of contemporary urban residents who move back into the city instead of moving out to the suburbs. These projects engage with pioneering strategies of design, where architects together with resident stakeholders influence the quality of the design process with decisions on politics, modalities of cooperation and building processes before the visually and materially shaping design work is developed. The different sets of rules, creative frameworks and designs of processes define political, financial, social, but also aesthetic design decisions in advance. They support the urban housing typology towards a culture of civil urban life – with condensed, stapled and individually designed single homes integrating the future inhabitants – in a prototypical manner. These prototypes inspire and shape follow-up projects and contribute to create an ecologically, biotope urban living space in the center of a big city for humans and animals within inner-city landscapes. The projects consequently produce responsible aesthetic qualities as reactivation and re-valuation of inner-urban realm, contrasting the urban sprawl, and are still beacons for a long-lasting paradigm shift towards a sustainable urban development today. Roughly 25 years after the Reunification, Berlin-based Baugruppenprojekte ('Building Community Projects') represent a continuation of a community-oriented typology following different ramifications for the architectural real laboratory which researches new architectural typologies. Beyond subsidized social policy, these mostly privately-initiated building communities constitute a continuation of the highly dynamic laboratory for ecological, heterogeneous and communal forms of living in Berlin, and the design of public spaces beyond the representative, conservative architectural policy in Berlin at the beginning of the new millennium. The social housing policies and subsidies in Berlin are increasingly replaced by a neoliberal urban development policy at the end of the 1990th – especially the privatization of formerly subsidized social housing projects represents this increasingly criticized development. Cf. the experimental projects Mischburg (1996-1997) and Stapelvilla© (2004-2008), jp3 architektur + gestaltung, Berlin, which develop the hybrid building typology through collectively agreed creative rule sets and investigative drawings, at an early stage of the co-housing era in Berlin; publications of this proposal in the form of a collage manifest and project design (>>>Vol:II_3.3 Creative Participation in Programming of Space: Random Generators; cf. Jäger: Schnittmuster-Strategie, pp. 201-323). Since 1990, urban wasteland, large vacancies of built historic substance and neglected, inner-city, former industrial complexes mostly located in East Berlin constitute the point of departure for an extended period of urban development from below. Entire streets are transformed by residents after the Reunification in the form of self-organized group projects, newly founded cooperatives or self-help projects in Berlin's Prenzlauer Berg, Mitte or Friedrichshain: Inner-city vacant or neglected sites are re-designed into densely populated living spaces (e.g., Marie, a new housing project for a mixed residential and commercial function with bordering playground along a former fire protection wall, 2007; or Baugruppe Südwestsonne with a programme of hybrid social and ecological aspirations, 2012). Vacant former industrial sites are revived and transformed into mixed and lively quarters of living, production and office work (e.g., former transformer station Marienburg, mixture of a commercial programme including residential areas and studio space, 2008). Existing built structures are transformed into socially mixed and resilient residential areas. Roughly 365 projects were realized in the context of the social housing self-help programme until the end of the 1990s, when the era of co-housing projects was just starting out in Berlin. In 2007, the exhibition Aufeinanderbauen ('Building on Top of Each Other') in the Deutsches Architekturzentrum Berlin (German Architecture Center; DAZ) introduces twelve exemplary building community projects from Berlin as prototypes. The curator Kristien Ring analyzes them with regards to different models of participation and funding structures, hence creating a first public consciousness for this type of co-housing movement. Holistic Life Reform projects such as the Ökodorf Sieben Linden in Saxony Anhalt (since 1997) take up the vision of the European Reform Movement from the early 20th century in order to realize an alternative draft for urban concepts in the form of rural, self-determined and collectively organized structures. The holistic living and working models and a socially-oriented residential housing policy have a tradition of over 200 years in Europe. Since the second half of the 20th century, the experiences of living communities and from squatter movements, using mostly non-violent strategies of appropriation of abandoned urban spaces and vacant, non-rehabilitated buildings, lead to more established, community-oriented or socially responsible ways of living and a diverse revitalization of abandoned inner-city quartiers in which living and working are closely interrelated in the urban context. Platforms such as the International Building Exhibition (IBA), which receive state funding, support these experiences of a self-confident civil society in their transformation of turning pioneer models of urban life and dwelling from private initiatives into public funding instruments for the regulation of open and participatory urban development. Taking into consideration citizens' wills, which was last conducted in Berlin during the IBA period between 1977 and 1987 , the results of the recently finished, ecological and socially experimental platform IBA Hamburg from 2007 to 2013 have been discussed in a German public discourse. See the European extension of IBA Basel and the development of the next key fields of inner-city transformation of large abandoned areas (see the debate on IBA Berlin 2020). The German national magazine Detail – Gemeinsam wohnen (No. 9) dedicates an issue to this topic in 2008. Together with n-ails e.V. and Stattbau GenerationenWohnen, we organized the symposium Remix in Berlin in 2009 to discuss communal, social and collectively minded life and work structures in the European cities. Since 2014, the ruling State Secretary for Urban Development of Berlin organized a new initiative of socially ambitious housing called Urban Living, cooperative idea workshops about the future of housing. The paths of spatial explorations and pioneers' ideals of contemporary life with regards to housing typologies have emerged from a fruitful humus and numerous historical predecessors in Berlin – drawing from century-old traditions of cooperatives in the city, from established partnerships between local stakeholders and politics (besides the IBA tradition, the German, Austrian and European tradition of social housing programmes and cooperatives throughout the 20th century) up to the three generations of self-organized living and building communities. These projects and their stakeholders relate back to decades of experiences of socially ambitious urban development and design with a consciousness of appropriation of public space that is deeply rooted in civil society and its citizens, experimenting, discussing and actualizing models for urban development far beyond Berlin's territorial boundaries. In comparison to the first half of the 20th century, the practice of experimental real laboratories in pioneer projects has been advanced. The leading principles of a socially ambitious society are established through a multi-faceted, cooperative planning culture and supportive legal conditions, democratic processes and participation procedures are variously experimented with, constantly (re)negotiating individual and collective interests. In Europe, these group foundations forging pilot projects from Seville to Vienna, Berlin and Copenhagen are interrelated by their common search for an improvement of local and transformable living environments. In learning processes, the design of contemporary, ecologically-oriented and mixed living quarters is managed in self-organized ways and developed and designed along the lines of diverging interests and premises, creating prototypes and ultimately shaping the constitutive parameters of design research. Often, these group formations are communities of local actors, who first acted in pioneer initiatives in the shadow of larger initiatives and as counter-cultural movements with a critical attitude towards the mainstream. Project initiators are often young people, students of architecture-related subjects or architect teams. As moderating designers, these teams activate dialogue-intensive and interdisciplinary processes in order to enable designs with open opportunities. These designs are realized in urban self-organized collectives (Kastanienallee 77 or 85), in large ecological-oriented cooperatives (Möckernkiez, since 2014) or exclusive ownership communities (Urbane-Living-1, Abcarius+Burns, 2001). The projects bear witness of framework conditions that have been negotiated by the initiators themselves, and demonstrate the creative processes which have brought about the negotiation and development of communal and private understandings of space. The rules of 'the real game' of such socially responsible architecture projects largely define aesthetic qualities as well as the individual character of new concepts. As a result of these positions and claims, the proximity and personal identification of mostly heterogeneous residential populations towards 'their piece' of the city become apparent. These neighborhoods cannot complain about a high fluctuation of inhabitants. Pilot projects contribute to stabilize the urban social life and support a dynamic valuation of urban spaces, integrating the social and generational mixture of quarters and their respective residential populations on a long-term basis. The improvement of residents' quality of life is often conditioned by a close interrelation of living, working and dwelling contexts, which evokes residents' local social responsibility for their immediate urban environment. The structural transformation and re-configuration of social conditions is the main objective of an exhibition, a synopsis of manifestos of an Architecture Engagée after the Enlightenment, which was dealt with in Munich's Architecture Museum in 2012. The heretics or pioneers, as Gerd de Bruyn calls architects in a publication in 2004 drawing on a variety of selected texts after 1960, discover new fields of experimentation in order to enrich societal processes by exceeding boundaries, conducting experiments and accessing new knowledge. These personalities seek to transform society on a long-term basis with their new insights, spanning open the spectrum between progress-convinced optimism and a critique that seeks to break open conventions that underlies any architectural modus operandi in designing and reflections thereof. The individual positions of involved parties, their diverging ideas about living spaces and the immediate contemporary interrelation of architects, influences trans-disciplinary design research and the renewal of fields of knowledge for their discipline. Nerdinger (Ed. ): L'Architecture engagée. Manifeste zur Veränderung der Gesellschaft. De Bruyn, Trüby (Ed. ): architektur_theorie.doc, texte seit 1960. Architecture cannot be finally captured with objective, quantifiable or assessable criteria of research for architectural projects and design methods. Architecture is hardly manageable via administrative programmes from public agencies and cannot be institutionally fixed within a pre-defined pool of activities. Experimental and transgressive pilot projects are a fruitful part of societal processes of transformation; these projects are closely interwoven with individuals and their creative ideas and engagement – their tools, partners and goals. Notably, these individuals first follow a fairly solitarily understanding of relevancy, their specific living situation and their unique search for new horizons of architecture and life in society. 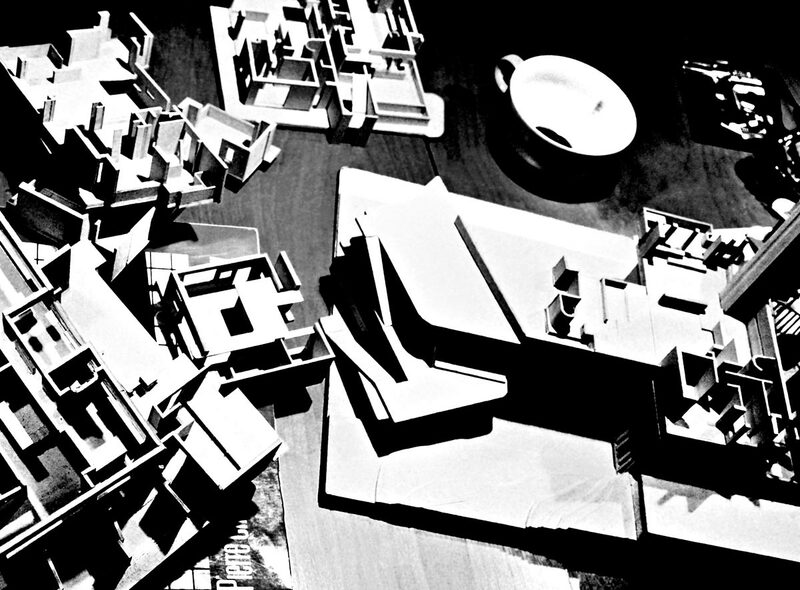 The selection of the aforementioned projects and groups from architectural and arts-related contexts, but also inter- or trans-disciplinary actors, are united by an impulse to discover imagined living conditions, with a readiness for initiating dialogue, a controversial curiosity to engage with unknown territory, to go new paths of democratic negotiation or individual paths to develop adequate spaces for small communities, models of appropriation and realizable built structures that are independent of big visions. Concretized utopias are developed, which can be discussed as designs or be installed as prototypes in public space. These pioneering projects can be materialized for a first or unique time in order to subsequently influence the production of space in their immediate urban environment, but also to inspire the societies of other urban centers. 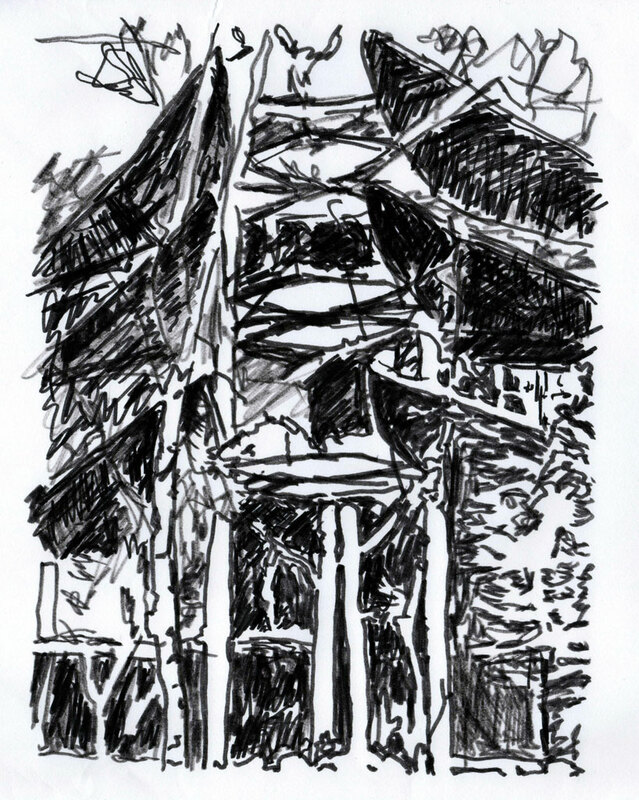 The processes of renewal flourish amidst societal conflicts and are fostered by social tensions. Boundary spanners, interdisciplinary projects and transgressive experiments can ideally be supported by open societies and their economically supportive and administratively open structures. Qualitative assessments of these developments in architecture and built culture and their spaces, concepts, constructions and guidelines often find entrance into societal discourses only much later and are first articulated in buildings, publications or manifestos by individual pioneers with a high investment of personal energies. Urban and politically motivated platforms such as the Berlin-based Experimentcity or the Netzwerkagentur Generationen Wohnen create a by-now established networks between individuals that are on the search for socially and ecologically ambitious groups and project developers, political decision-makers and the public. 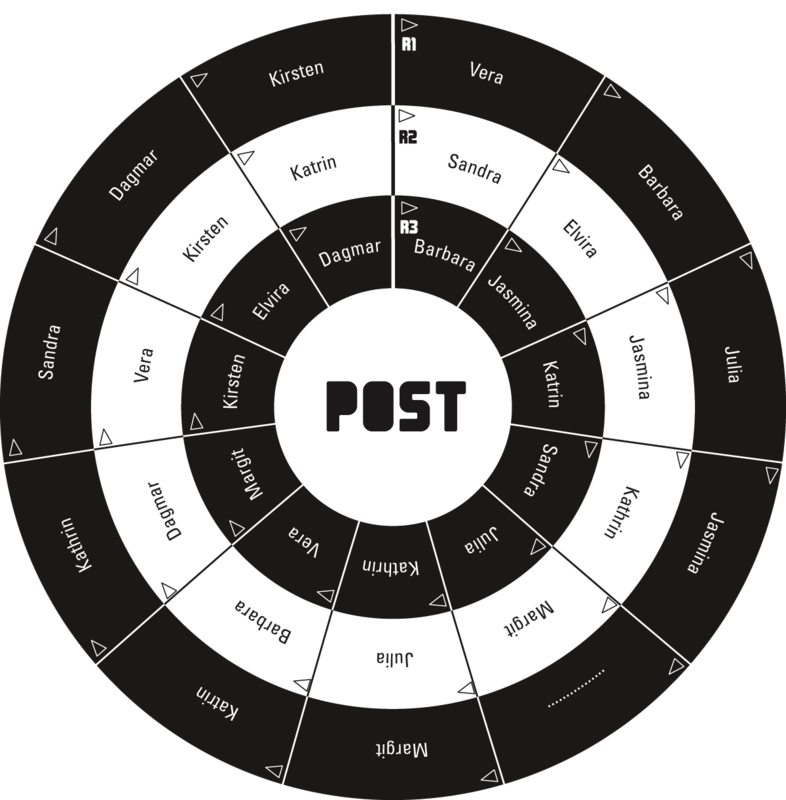 The makers of Wohnportal [Co-Housing/Berlin; since 2016] provide a publicly accessible interactive platform for creative self-organization in Berlin and Brandenburg in order to create concrete links between actors. The Netzwerkagentur of the redevelopment agency Stattbau Berlin is a platform for know-how, bundling knowledge about exhibitions, symposia and communicative, and knowledge-dispersing activities which serves a constantly developing and growing architectural community which deals with the democratic participation in urban development, the distribution of real estate and property for cooperative projects and the right to the city for all classes of the population in order to enable aesthetic and urban political participatory processes which ultimately lead to experiment and openness. 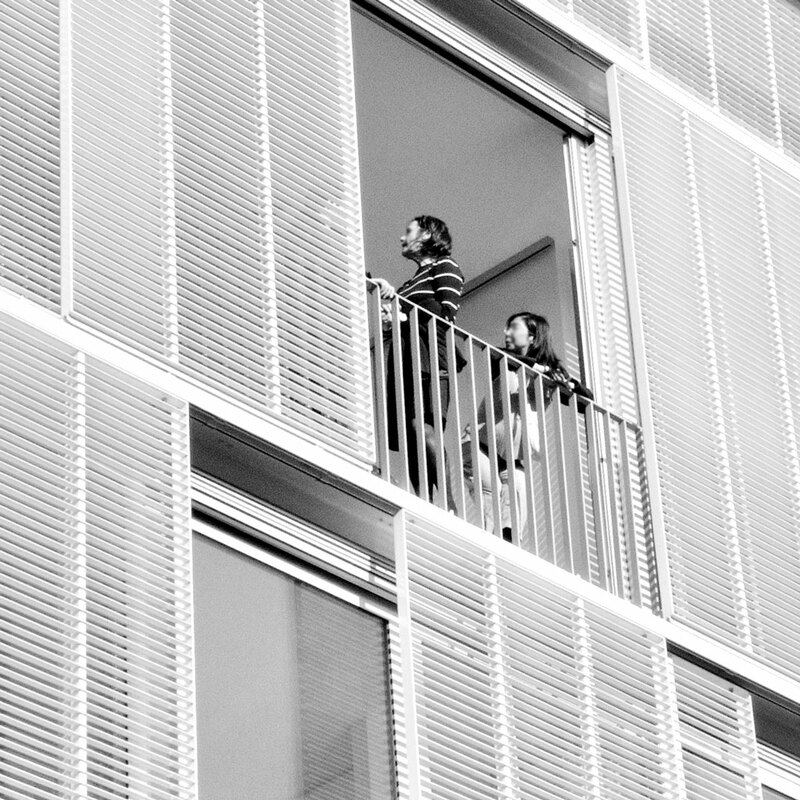 This right to participate in city building, or claiming adequate living spaces for all, has been articulated by an increasingly strong civil society not only in Europe. It has been fought for with peaceful means, eliciting critical artistic, architectural and scientific projects and strategies. Artist-led formations before and after the wars were united in their rejection of the one-sidedly economistic-functionalist design and hierarchically organized design processes in order to gather ideas. Since the 1970s, the belief in salvationist ideologies, the transformative power of large projects from art and architecture as means of structural, systematic change of society is more and more substituted with an attitude of aligning the glocal and the reachable. The glocal tradition is characterized by decentralized, small-scale and place-specific projects, in which actors come together in collectives and interest groups in order to share experiments, positions, knowledge and often also living space and lifetime on the way to pilot project realizations. Is not a game an act that already inheres its own purpose, through the act of play, or playing in itself? The purpose of playing is the play itself. It follows accepted rules that serve to dedicate oneself to the uninhibited flow of actions and thoughts in the passing of time, or within an activity of the as if, and still fulfills its purpose in the idea of the game that implies competition: "He or she who enters a veritable game, does ultimately really want to succeed with their own activities." Scheuerl: Theorien des Spiels. Quoted from: Jäger: Schnittmuster-Strategie: p. 457: "Wer sich auf ein wirkliches Spiel einläßt, der will doch mit seinen Tätigkeiten auch etwas gelingen lassen". The article is based on the lecture in the frame of the conference Nordic Urban and Housing Research Conference (NSBB) 2014, Track 3: Communities, Participation and Negotiations. Theodor Adorno: Ästhetische Theorie. Frankfurt, 1970. Gerd de Bruyn, Stephan Trüby (Ed. ): architektur_theorie.doc, texte seit 1960. Basel 2003. Rainer W. Ernst: Stadt Raum Strategie. Berlin 2006. Jesko Fezer, Matthias Heyden (Ed. ): Hier entsteht. Strategien partizipativer Architektur und räumlicher Aneignung. Berlin 2004. Dagmar Jäger: Schnittmuster-Strategie - Eine dialogische Entwurfslehre für Architektur, Design und Kunst. Berlin 2008. Jana Hallberg, Alexander Wewerka (Ed. ): DOGMA 95 Zwischen Kontrolle und Chaos. Berlin 2001. Winfried Nerdinger (Ed. ): L'Architecture engagée. Manifeste zur Veränderung der Gesellschaft. München 2012. Georges Perec: La Disparition. Paris 1969. Jean-Jacques Rousseau: Du Contrat Social ou Principes du Droit Politique. Amsterdam 1762. Bernard Rudofsky: Architecture without Architects. London 1964. Bernard Rudofsky: Streets for People. New York 1969. Hans Scheuerl: Theorien des Spiels. Weinheim 1955 (1975). Iain B. Whyte, Romana Schneider (Ed. ): Gläserne Kette. Eine expressionistische Korrespondenz über die Architektur der Zukunft. Berlin 1996.